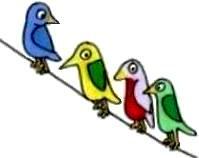 Co-dependency between birds and us means we need them and they need us. Wait, don't squawk... controlling pesky birds can be effective, as long as we allow them to control us a bit too. Most birds are insect eaters and will leave plants alone, especially in the breeding season when they are heavy protein eaters. Okay, it does happen that some birds rip leaves to threads, demolish berries, scatter garden matter far and wide and gouge great holes in your soil. Certain birds, such as pigeons, parrots and lorikeets, can adopt you. 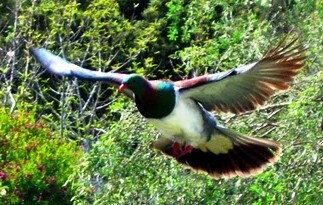 Feed one or two and suddenly the sky's full of them all homing into your place! They don't attack your plants, but can make a mess and ruin railings, porches, roofs and such like. 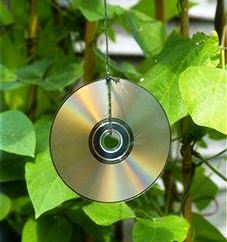 Shiny things: String old CDs around the patches of garden where you have planted seedlings for example. Those birds such as blackbirds, that scatter things far and wide, will be wary of the reflective movement. Other shiny stuff, such as festive paper and decorations, bottle tops, old utensils, tins and foil are also effective. Use the foil lids from dip and yogurt containers, and don't throw out any foil you used to bake dinner with. 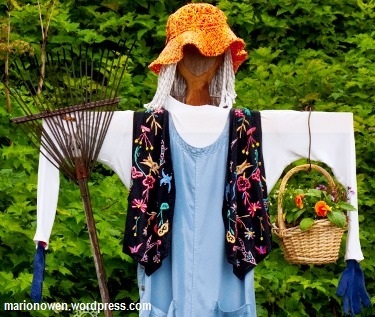 Make a scarecrow: Only feasible if you have the time, space, and especially helpful children. Snakes: A rubber toy snake or one of those sand filled ones gives excellent pest control. Birds will shy away instead of landing if you put a fake snake in a visible place. Hunters and predatory birds: A large cutout or kite of a hunter type of bird, such as a hawk or owl, can keep smaller birds away. Nobody likes bullies, even birds. Sit your fearsome picture in a nearby tree or attach to a pole, fence, house or on wire or twine across garden. 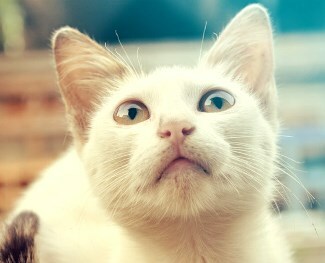 Cats and dogs: Having pets doesn't always guarantee the birds will stay away. Anyway, most people that like pets, like birds, so it's back to that mutual understanding of community, jungle type rule of sharing, squaring off and semi-co-existing. But... here again, an imitation puddy tat, especially if larger than life, painted shiny jet black with piecing green or gold eyes, can do the trick. Lean Leo against the nearby fence or pea trellis and move him around often. How about joining your local night class in woodworking to make your own bird pest control cat — or two? Big bang: You don't have to create the universe again, just move a few birds along. Make a sudden loud bang or sharp crack. Pot lids are good. Do this a few times, especially when pigeons are settling down for a nap and they'll get the message and find another guesthouse. (I know it's cruel, but as the saying goes: You have to be cruel to be kind... in this case to you). Ultrasonic bird repellers: Unless you're a DIY enthusiast with an electrical bent, then you'll have to buy these online or from a garden centre. These bird repellers emit regular pitched sounds, such as distress calls, predator cries or general scary noises that humans usually can't hear, but will frighten birds and animals away. Bird spikes: These are probably the most common type of natural bird repellants and popular with boaties to stop seagulls and cormorants from messing up their... well, boats. For your garden — along fence tops, edges or railings, anywhere they perch... you can try homemade varieties, but they don't usually look pretty. Nails sticking up from wood, cut plastic or tin — you or your family might get hurt, or goodness — an unwary burglar climbing over your porch rail. There are lots of types to choose from in shops and online and they can be made from clear, unobtrusive polycarbonate, which doesn't rust or hurt anyone. 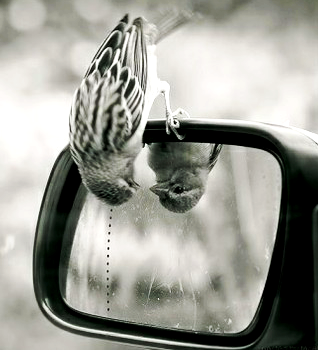 The birds just can't land or if they do, they get their feet all in a tither. Bird netting: You can make netting frames to place over fruit and vegetables that are ripening. Frames are a bit of a nuisance to store, but easy to lift and gobble a strawberry or two... or ten. Wire or cloth netting is ok to place over plants, but watch out that the plants haven't grown through it and you don't rip them out of the ground when you shift the netting. There is some concern that string netting can tangle birds' feet and even friendly snakes, in which case stick with the wire netting or use fine mesh netting attached to high frames. Timed sprinklers: These are good. You wouldn't hang around either would you, if you got hosed down whilst in the middle of breakfast? Garlic Fire Spray: See Organic garden pest control. 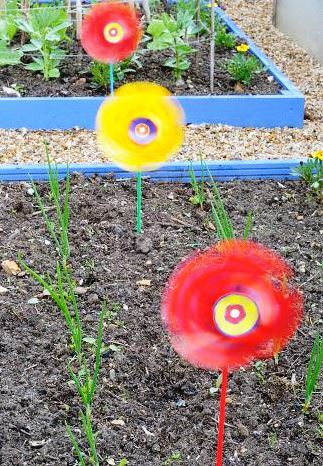 This will deter birds if selectively used on the edge of certain precious areas. Harmless sticky gels: Commercial gels can be bought to use as bird pest control, or make your own either using petroleum jelly or heavy engine oil. Spread on the oil to keep birds off garden borders, such as wood, bricks etc, or on top of fences, certain branches, gutterings or railings. Birds hate it so it's rather effective, although eventually gets messy. That's it for natural bird pest control, and now, stone the crows!... 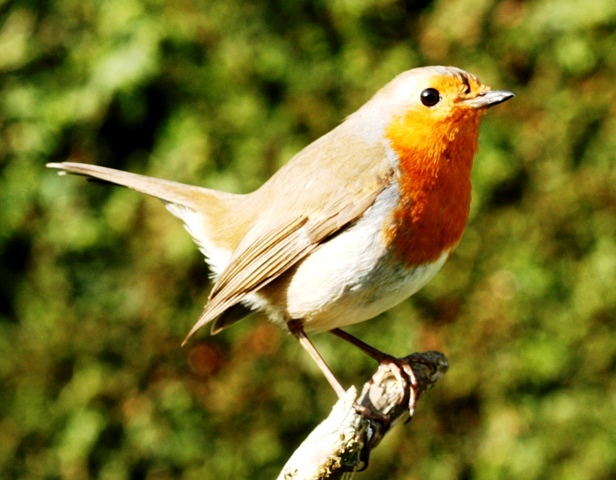 You want to go and find out about Attracting backyard birds.